A 2km extension of Transport for West Midlands’ Midland Metro has been given the go ahead in the UK. The £149 million extension will link Grand Central, in Birmingham’s city centre, with the southern suburb of Edgbaston with five new stops served by up to 10 trams an hour at peak times. Major work could begin in weeks, according to the Department for Transport, after it pledged the required £59.8 million to complete the project’s funding target. The West Midlands Combined Authority, Birmingham City Council, Greater Birmingham & Solihull Local Enterprise Partnership and others are contributing £84 million funding with the remaining £5.2 million coming from developers. Should plans go ahead as expected, the extension will be open in March 2021 with stops at Town Hall, Centenary Square, Brindley Place, and at two other locations either side of the Five Ways roundabout in Edgbaston. To limit the extension’s impact on Birmingham’s historic city centre, parts of the route will be built without overhead lines meaning trams will be fitted with batteries to run on their own power. 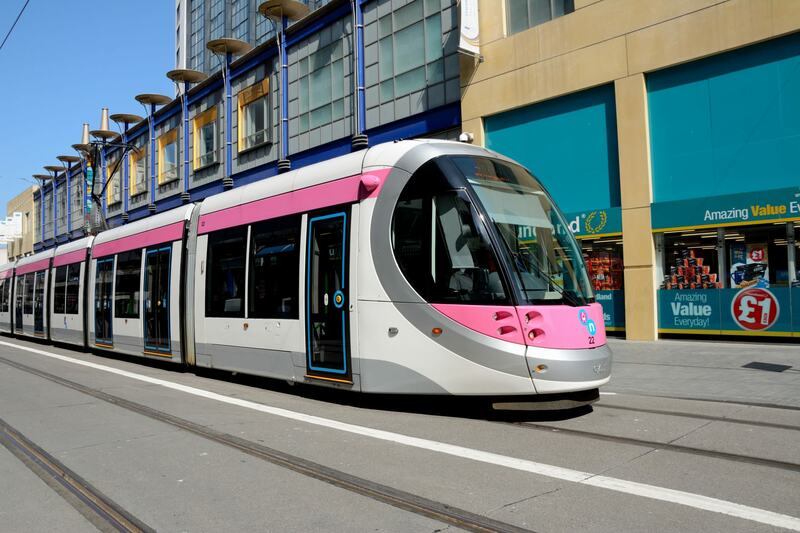 Transport minister Paul Maynard said: “Midland Metro is already a success story, with passenger journeys up nearly a third this year compared to last year. This new extension will be a further boost to Birmingham businesses, and make travelling to work easier for commuters. Why not extend the Midland Metro tram to Westfield Merry Hill shopping centre. Could that happen in the future?